The Funeral Home and business were purchased from the Walata Family on November 20, 1992 and after a total renovation opened under the direction of Michael J. Smith, Jr., a member of a long established Chelsea family that has resided in Chelsea for 5 generations. 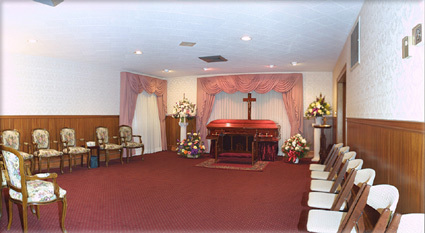 Funeral Service in the last 40 years has evolved to more then a standard form. It has embraced the simple belief that a funeral service, wheather simple or planned to the very smallest detail is used to memorialize the life of one we hold dear to our hearts". "We remember when people took the time to serve others. Our family has been helping families here for many years. As our town has grown, we have grown too, with more specialized services, such as out-of-town arrangements, pre-arrangements, cremations and after care grief recovery programs." "Making a difficult time easier is important, that is why our services are tailored to individually meet the specific needs of each family, whether it be from a financial or religious standpoint". Member in good standing of both the Massachusetts Funeral Directors Association and National Funeral Directors Association.